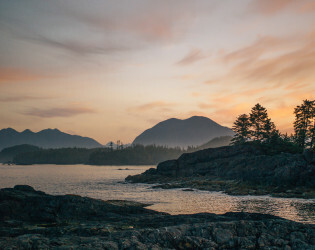 Rugged, wild, untamed - sounds like the perfect setting for a romance novel. 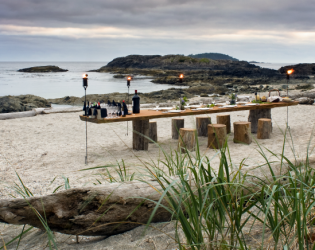 We're wickanishing our next celebration is here on this intimate isle in the Pacific Northwest. 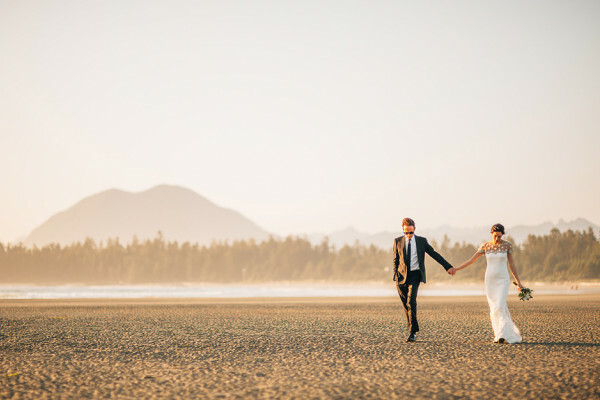 If our Wickaninnish comes true, we'd like to wed by the seashore on stunning Shell Beach, named for the crushed shells that make up much of the beachfront. 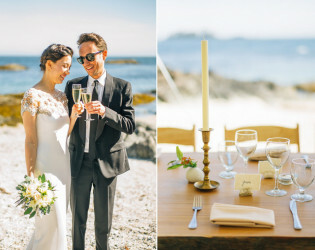 Special doesn't even begin to do justice to this seaside spectacular. As the one and only resort on Tofino’s idyllic Chesterman Beach, the Wickaninnish Inn has been a member of the Relais & Châteaux collection of fine hotels and restaurants since 1997. 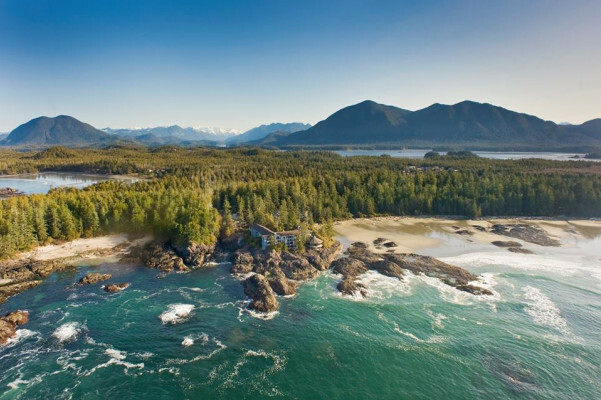 Two contemporary West Coast cedar structures, Wickaninnish-At-the-Pointe and Wickaninnish-On-the-Beach, house 75 spacious guest rooms and suites, all featuring generous ocean or beach-to-ocean views, individual balcony, gas fireplace, and soaker tub. 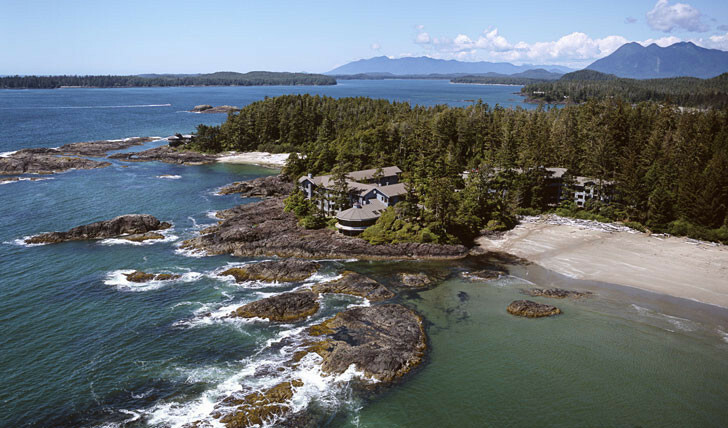 The variety of amenities offered in the well appointed guest accommodations includes: complimentary high speed wireless internet, Bose Wave® music system, flat screen television, locally-penned novels, private bar, coffee maker, kettle, binoculars, Helly Hansen rain gear and Frette terry bathrobes. 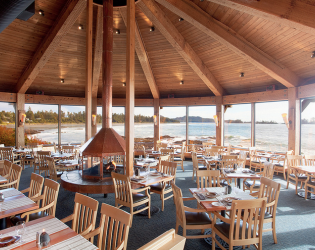 The guest experience is completed with The Pointe Restaurant’s 240° (degree) viewscapes of the Pacific Ocean and Chesterman Beach complementing refined West Coast cuisine and Ancient Cedars Spa. 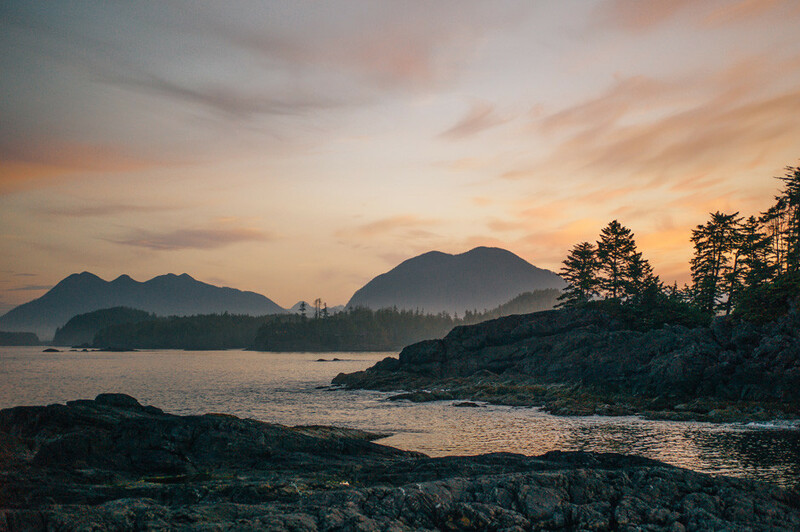 Readers of Travel + Leisure magazine voted the Wickaninnish Inn as the top resort in Canada and one of the top four resorts in North America in their annual World’s Best Awards. The acclaimed Condé Nast Johansens travel guides have named the Inn as their top North American eco-resort and best romantic hideaway. 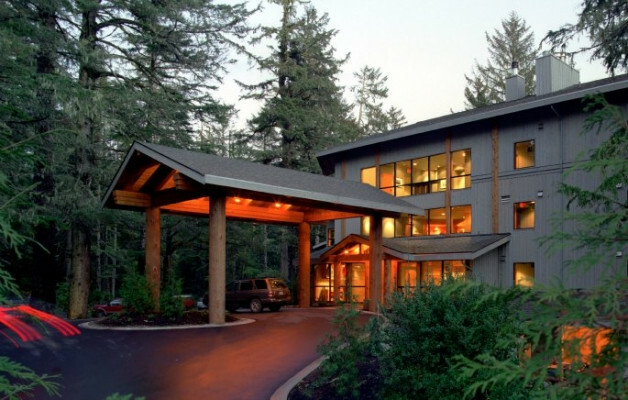 Additional Fees include, but not limited to, service fees, taxes, guest room requirements. 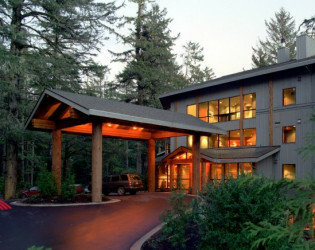 We hold an annual closure during the month of January when we take time to buff, primp & primp the Inn. 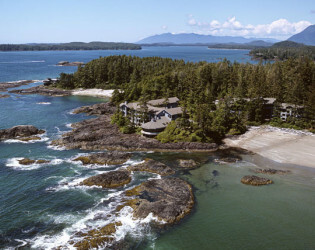 75 ocean view Guest Rooms, which includes 12 suites. The Salal Room Generous windows invite natural light and beach views, framed by indigenous Salal shrubs for a private experience with friends and family. 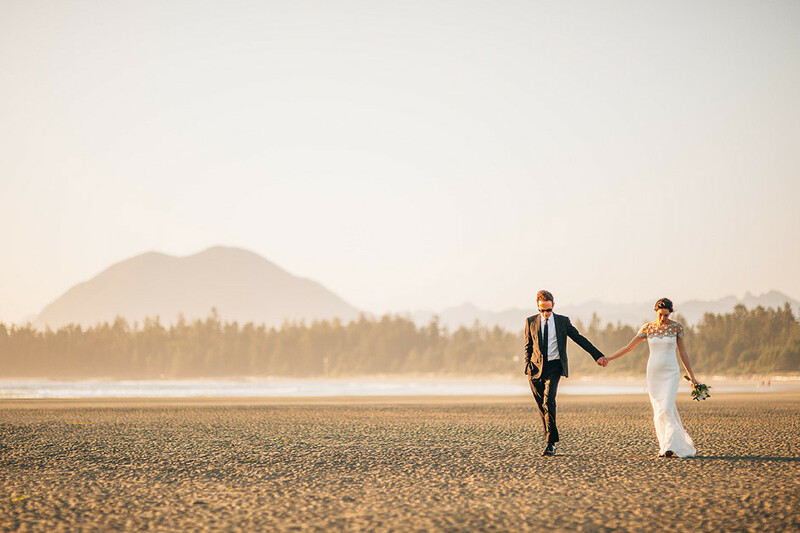 The Salal Room at Wickaninnish-At-the-Pointe provides 720 square feet of versatile private space enhanced by natural lighting from large picture windows, with forested beach views and state of the art sound. 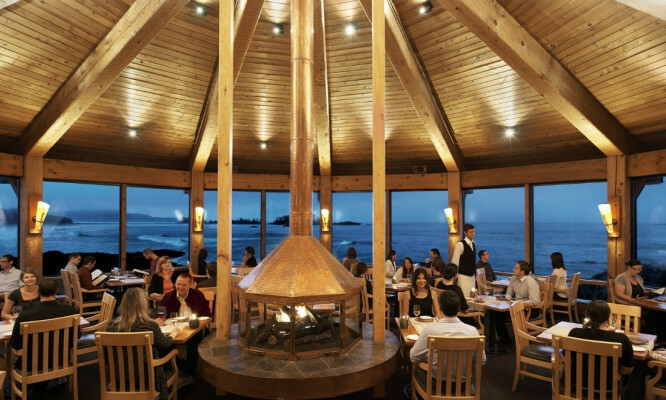 The Salal Room lends itself to private dining for up to 50 people or 60 people for a cocktail reception. 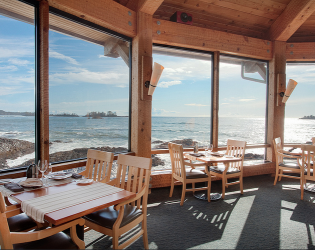 As The Pointe Restaurant is best suited to groups of ten or fewer people, the adjacent Salal Room is a perfect venue to host a group breakfast, brunch, and lunch or rehearsal dinner. 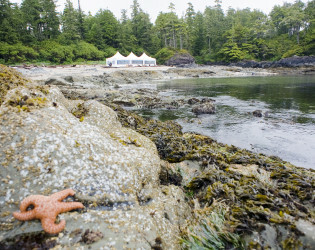 Shell Beach Tucked away at the western end of the Wickaninnish Inn’s property by the McDiarmid family cabin, this beach is named for its finely crushed shells underfoot. 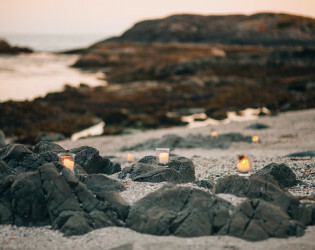 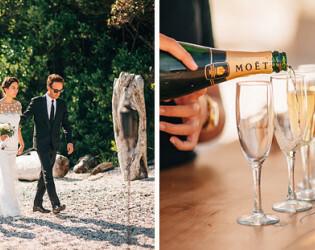 Guests of the Inn are offered the opportunity to experience the elegant seclusion of Shell Beach for a memorable outdoor private function from mid-May through September. 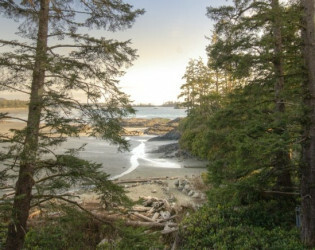 Shell Beach is bounded by tidal rocks where shorebirds often rest, and bald eagles can occasionally be seen flying overhead. 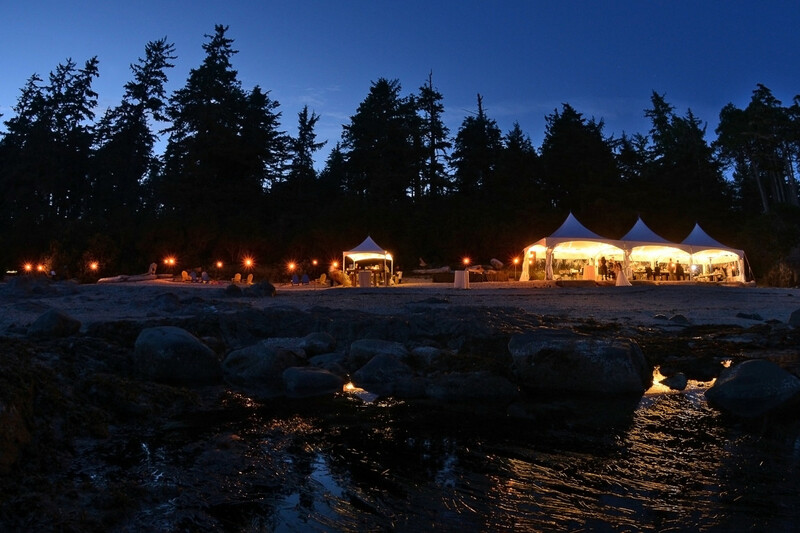 This pristine, natural setting lends itself well to a custom West Coast seafood cookout or beach barbeque celebration for up to 60 guests. Our Special Events and Culinary teams are at your service in making your exclusive Shell Beach wedding a fond West Coast memory. 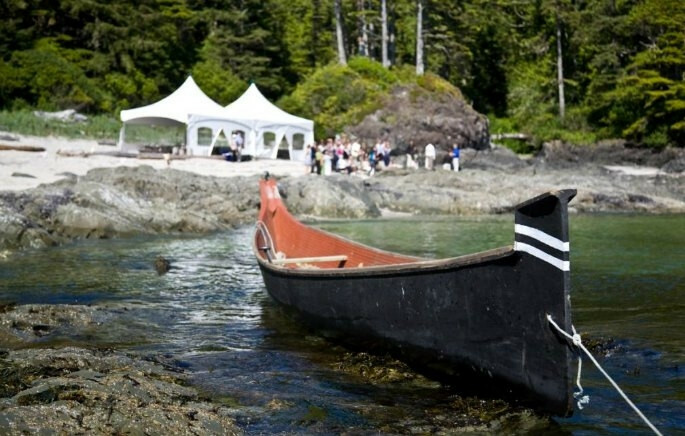 Salal Room ~ Tables and chairs are provided, including tablecloths and napkins for your event. 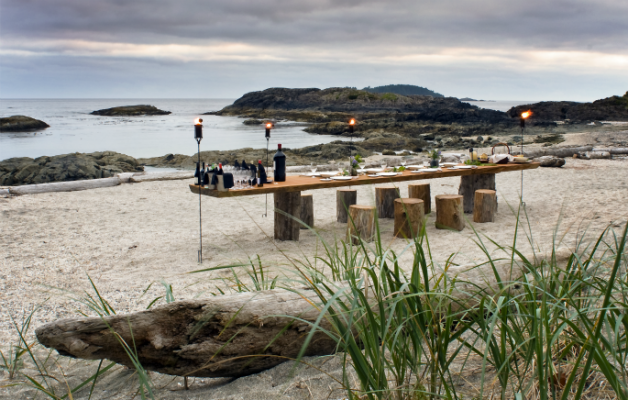 Shell Beach - 3 beautiful live edge cedar tables are included, with rustic wooden stumps as seats, as well as a bonfire to enjoy late into the evening. 3 Marquee style tents and heaters are also included in the rental fee. 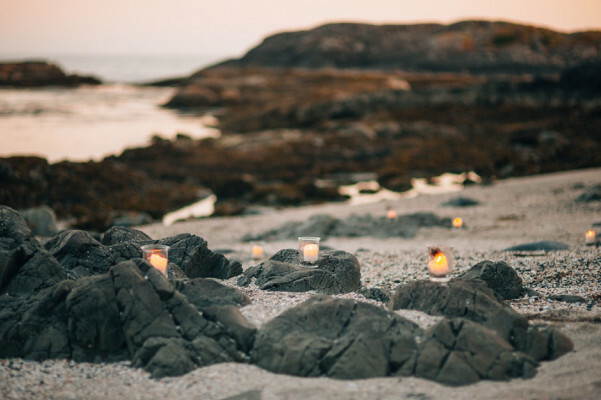 Decoration for both spaces includes our West Coast Theme ~ tealights, fresh Salal leaves, tiki torches for the beach. 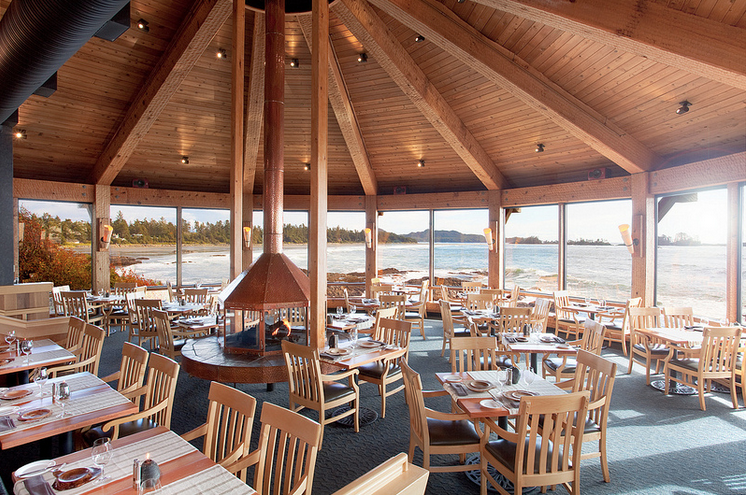 Natural Light through frosted glass windows for a private experience for meetings and groups. 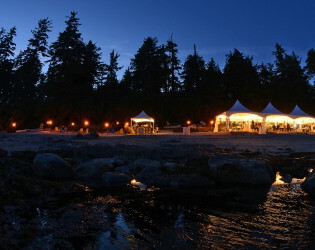 - View: Natural light, forested beach views, when renting both the Salal Room & Shoreline Terrace. 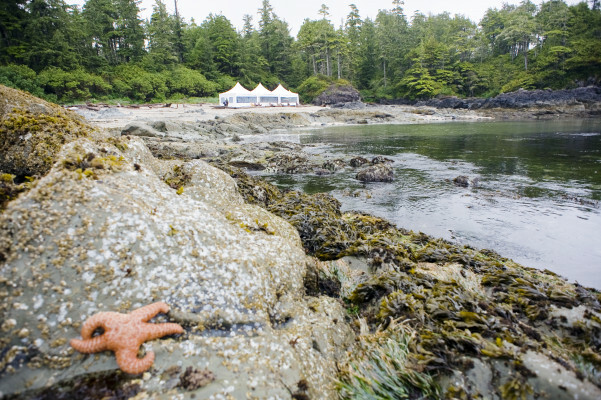 Tucked away at the western end of the Wickaninnish Inn’s property by the McDiarmid family cabin, this beach is named for its finely crushed shells underfoot. 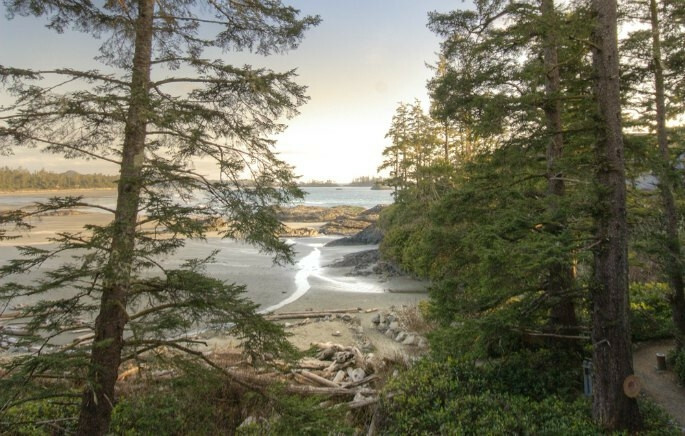 - View: Shell Beach is bounded by tidal rocks where shorebirds often rest, and bald eagles can occasionally be seen flying overhead. 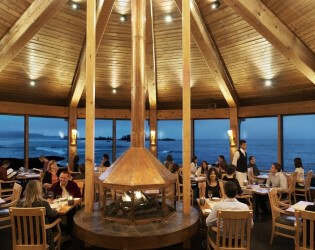 Nestled off the Driftwood Cafe, this cozy venue offers a warm ambiance with inspiring views of the ocean’s rolling waves. 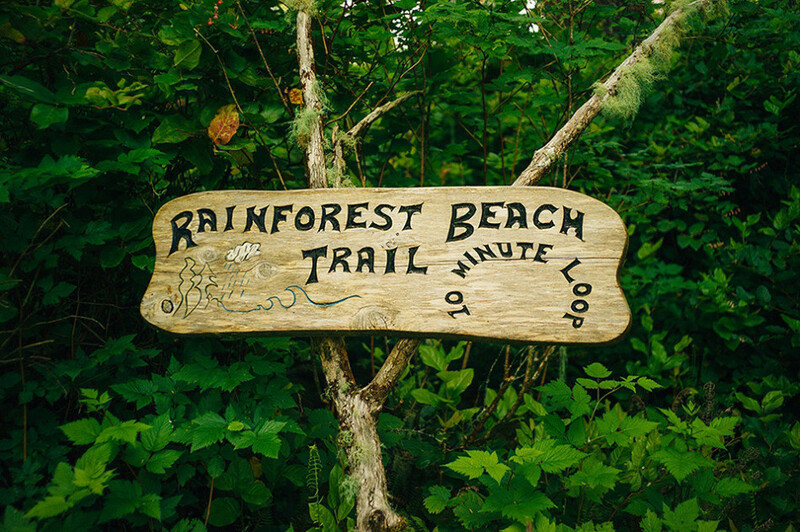 - View: Natural Light, forested beach and ocean views. Sit at the long beautifully designed Cedar Table, surrounding yourself with up to 8,000 bottles of wine! 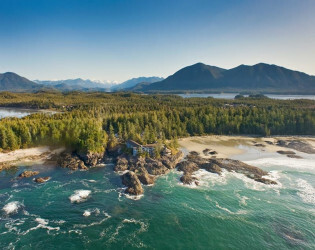 The Wickaninnish Inn offers direct access to Chesterman Beach, and panoramic ocean or beach views from every guest room. 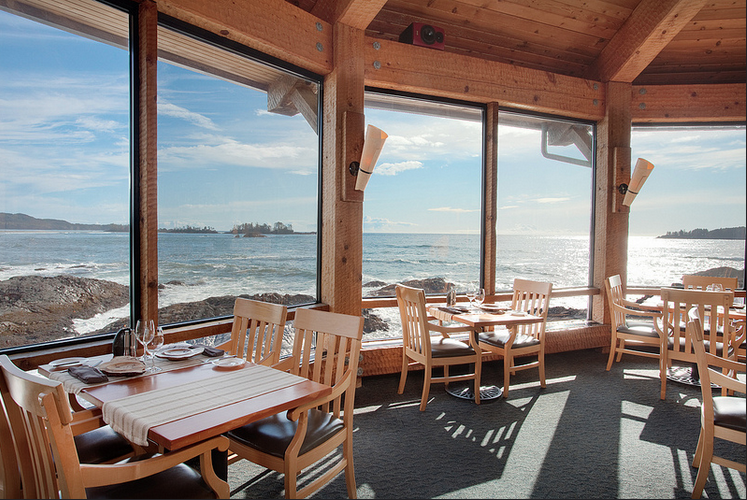 The Pointe Restaurant has an incredible 240 degrees view of Pacific Ocean. 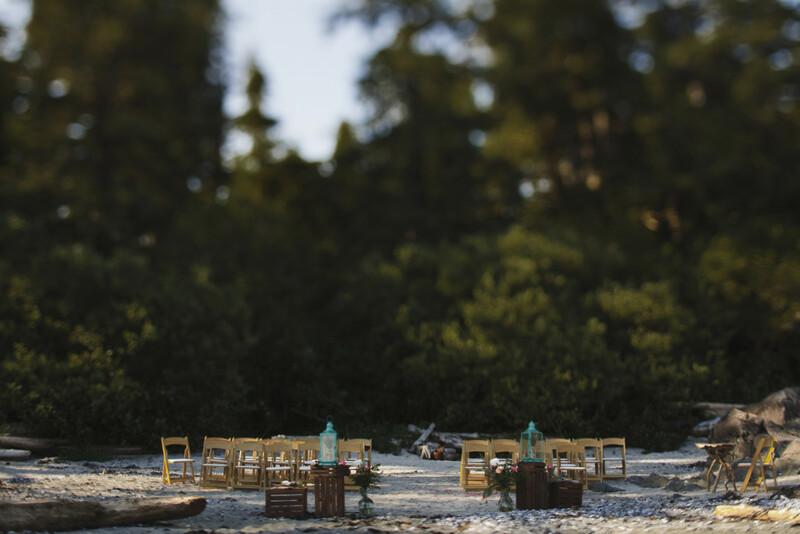 Consider the Swordfern Boardroom for your next Corporate Event. 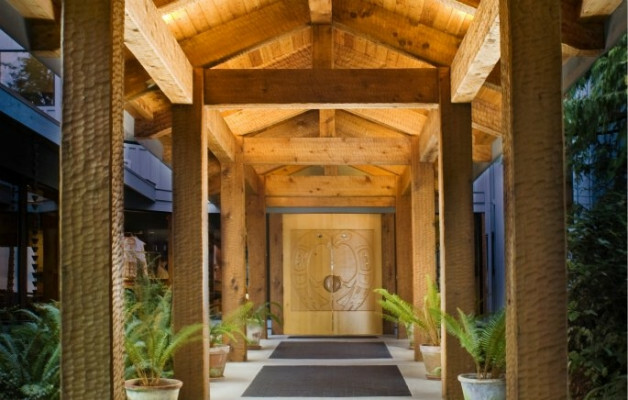 The intimate 500 sqft room features a hand-carved details, a gas fireplace, wet bar and individual balcony for your enjoyment. 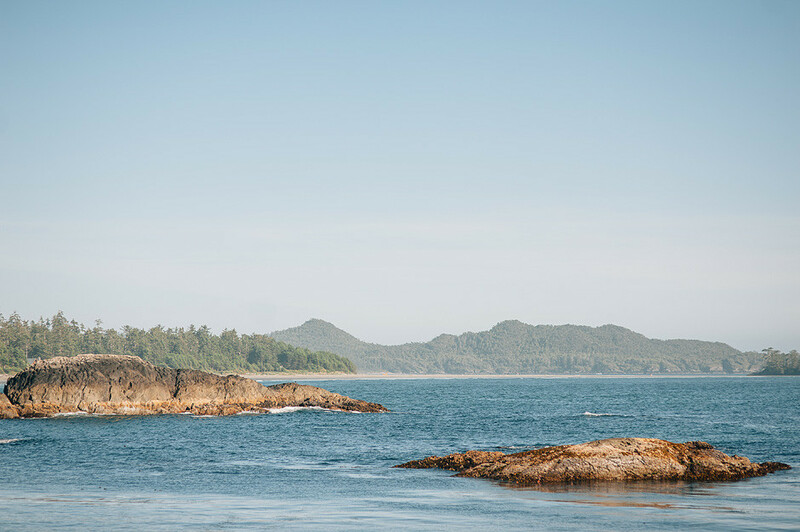 Looking back on on Shell Beach from the pacific ocean. 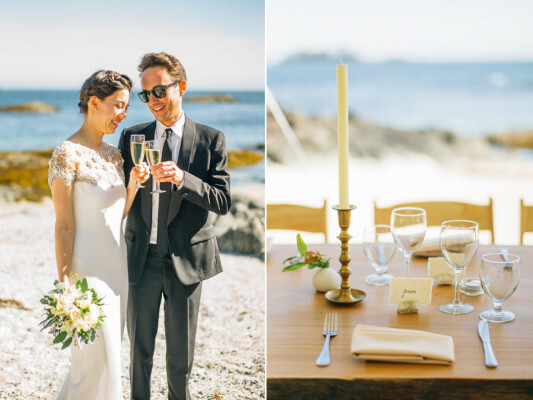 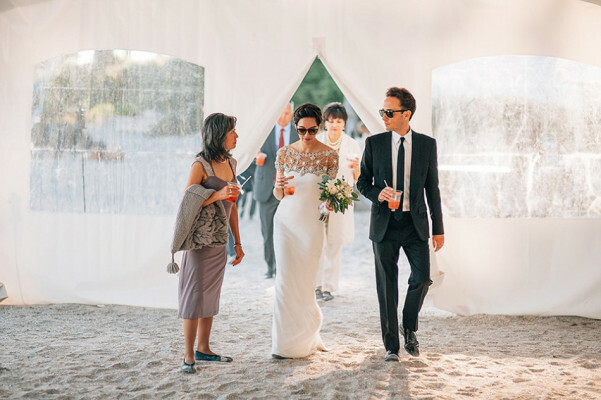 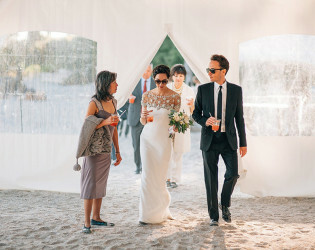 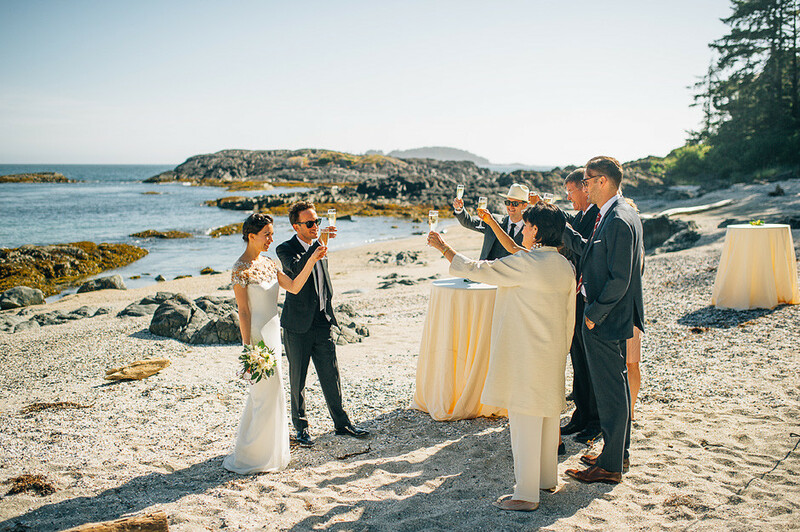 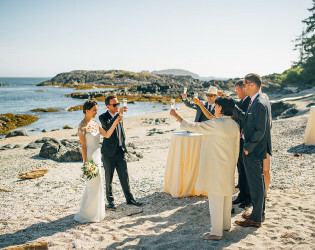 Shell Beach, named for the crushed shells that make up much of the beachfront is only accessible by a private driveway on Wickaninnish Inn's property, making it a rare venue for a private event. 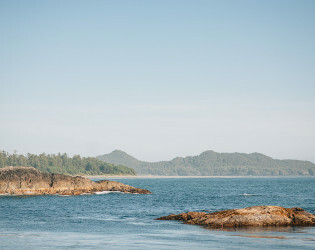 There are two buildings, 'At-the-Pointe' and 'On-the-Beach' which have been designed to complement each other and the natural, peaceful beauty of their surroundings. 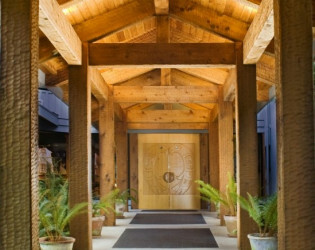 Special details on every corner of the property. 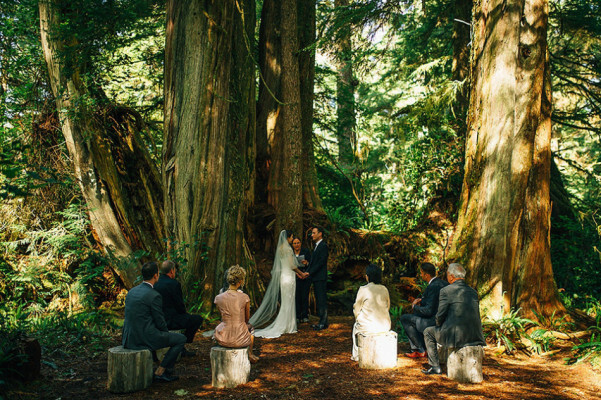 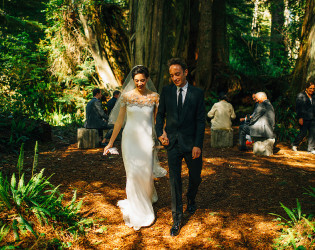 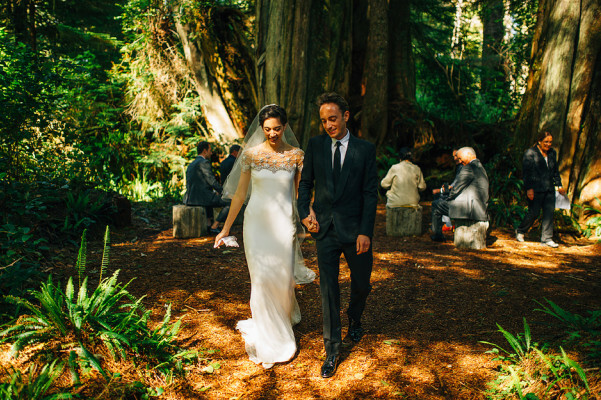 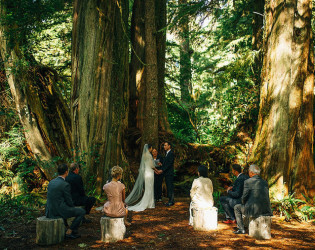 An intimate ceremony in a rainforest clearing. 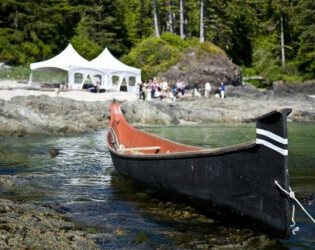 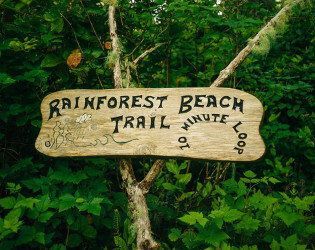 Get married in the rainforest and host your reception on the beach for the best of both worlds! 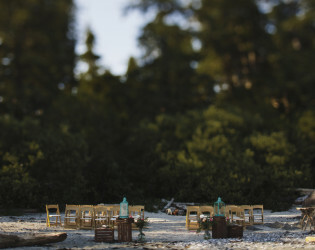 After your rainforest wedding host a reception on the beach. 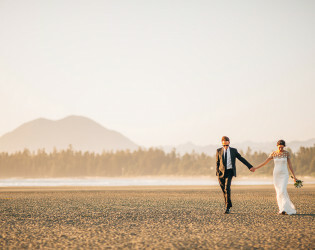 Sunset on the beach during your celebration.